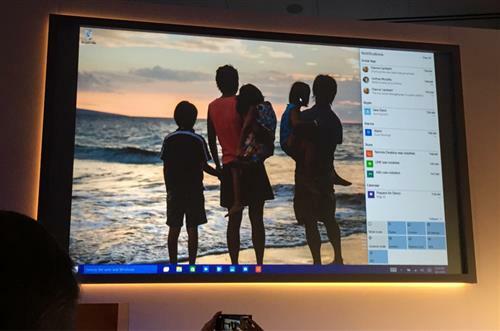 Microsoft unveils more about the "next chapter" for its Windows 10 operating system and more. There's a video with Microsoft employees thanking those early beta testers for sharing their feedback, issues and complaints about the early build. He's discussing the three areas Microsoft thought needed innovation. 1. Mobility of experiencing, meaning you can move between multiple devices and use the same tools. 2. Trust, for privacy and security, more control for the customer. 3. Natural interactions, like voice control and gaze. "It's important that our customers' privacy is respected and they trust the devices and experience." Gaze is a big keyword so far, but what does it mean? Will you be able to control your tablet with meaningful glances? Windows 10 is going to be the most seamless, mobile, natural interface ever that puts me in control. Or somethingorother. Will they just tell us what it does and stop using buzzwords? Free upgrades: For the first year, all devices running Windows 8.1 will be able to upgrade to Windows 10 for free. All devices running Win Phone 8.1 will be able to upgrade for free. Anyone still running Windows 7 will be able to upgrade for free for the first year too. He compared Windows to Internet services. "Questions like 'what version are you running' will cease to make sense." It's Windows as a Service. "Windows 10 is so much more than the latest version of Windows, Windows 10 changes the rules of the game and redefines the relationship between us and our customers." OK! Joe Belfiore is out, and he's a perkier faster speaker. He's going to recap the core Windows experience on a PC. They've added the ability to take the beloved Start menu full screen. Pan in from the right and you get the "Action Center" which has shortcuts to do common tasks, like trigger Airplane Mode, and see the latest notifications. 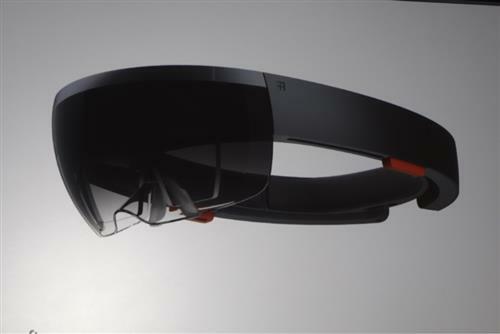 A head-mounted display looks like it give you augmented reality with holograms. Examples of possible uses for HOLOGRAMS, which I really hope is in all caps like I hear it in my head. Turn your living room into a gaming environment, engineers can tinker with 3D models, architects can see blueprints over their real sites. Every Windows 10 device has APIs focused on human and environment understanding." Holograms are Windows universal apps. 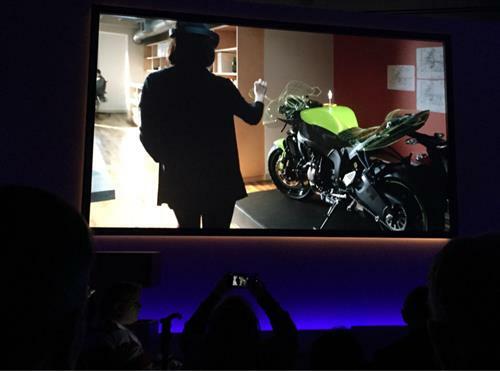 The hardware is called Microsoft HoloLens, a pair of groovy tinted goggles. There's no wire. The glass is see-through to mix projected images with the real view in front of you. Holograms aren't just for creative people, says Kipman. HoloStudio lets anyone create their own 3D holograms and 3D print them. To demonstrate it, someone will use the goggles live and we'll see what she sees on a screen. This is the "gaze" we've been hearing about all day. The goggles know where you are looking.